As temperatures drop outside it’s important to keep our furry friends safe and warm. Here are some tips for keeping your pets happy during the coldest winter months. 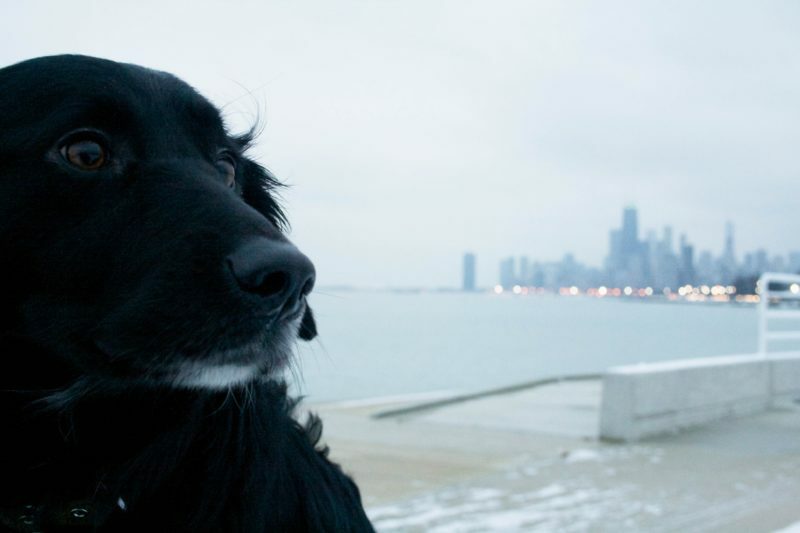 Limit Exposure: First, if it’s too cold for you out there, it’s also too cold for your pet! The best way to protect your pup is to keep walks short and strictly for business. We all know that when they gotta go, they gotta go, but save those long walks and visits to the dog park for when the temperature is above freezing. Layer them up: When you do have to go outside, make sure to protect your pet by bundling up. Longer, thicker-haired breeds might not need a coat, but small and short-haired breeds definitely need the extra layer. We recommend a coat that has large Velcro straps that are easy to take on and off, and a warm inner lining with a waterproof nylon exterior to keep them dry. Don’t forget the feet: Keeping their feet protected is very important too. Icy sidewalks covered in salt can be painful on the pads of their paws. Tight-fitting booties are going to offer you the best protection. We like the rubber balloon-like ones the best over a bulkier strap-on option that can fall off more easily and get lost in the snow if you are not watching closely. Since boots can be very tricky to put on your pet, another great alternative is using a protective wax product like Musher’s Secret. Originally made for sled dogs, the wax creates a semi-permeable layer that bonds to your dog’s paw keeping it protected. You can find it at most veterinary offices as well as online. The wax is non-toxic and safe for your pet. Extra blankets and water: While you are inside, make sure your dog or cat has a nice warm and dry place to curl up. Adding some extra blankets to their bed is a great way to make sure they have plenty to work with and extra snuggles with you is a great way to keep them warm too! Just remember, all the extra heat in the apartment can dry out the air as well as their sweet wet noses, so make sure they have access to plenty of water. Owning a pet in the city can be such a joy, that’s why Reside loves offering so many pet friendly options, keep them feeling warm and protected by following these winter safety tips! I also recommend using pet safe salt. Is is more expensive I agree, but we definitely find monies to afford lavish holiday parties. Surely allocating a few bucks to keep some of our tenants from injuring themselves is worth the cost. I def would prefer that to a party. Just my two cents! I know this has been mentioned before! Being a “pet friendly” building goes so much further than renting to owners that happen to have pets and providing a jar of dog treats in the lobby. If we really want to be pet friendly these are considerations that should not be taken lightly. We all love yoga and parties, but our families should be a bigger priority. Very thoughtful comment, Miguel! Thanks for sharing your feedback. Please feel free to always share any concerns with your property manager. Thank you! Will do! Our furry friends are pretty special to us. I imagine I am not the only one who would like their safety being considered in this way. I imagine this is already on their radar, but I will be happy to bring it up again. Thanks for the response!